Mrs. Diana A. 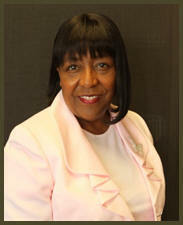 Minor, serves as the National Membership Chair, who reviews and approves applications for membership. In addition, she serves as Advisor to the Membership Committee, Assistant Regional Directors, and serves as counselor to the Undergraduates. Membership in GAMMA PHI DELTA SORORITY, Inc. shall not be denied to any woman because of her race, creed or national origin. Members shall be known as Graduate and Undergraduate; Member-At-Large; Honorary and Associate. Graduate membership shall be limited to women of good moral character and reputation who: (1) have baccalaureate/associate degree; or (2) have completed an approved two-year specialized training program or equivalent in professional experience. Undergraduate membership are those persons who have been duly inducted by any undergraduate chapter according to the laws of the National Organization and who: (1) at the time of induction, is enrolled at an accredited school, college or university for a minimum of twelve (12) hours per semester or quarter. (2) shall be in good standing academically with the school. Members-At-Large are those persons who have completed the required training and have received an associate or baccalaureate degree, or have completed an approved two-year specialized training program, or equivalent in professional experience. Honorary members shall be those persons who, because of their outstanding achievements, who have won recognition on a national or international scope, and have been elected to this status by the Boule' Body. Associate members are those persons whose involvements otherwise prevent their participation as a regular member, and who have been approved for this status by the National Board of Directors. The eligibility requirements for associate membership shall be the same as that of graduate members.